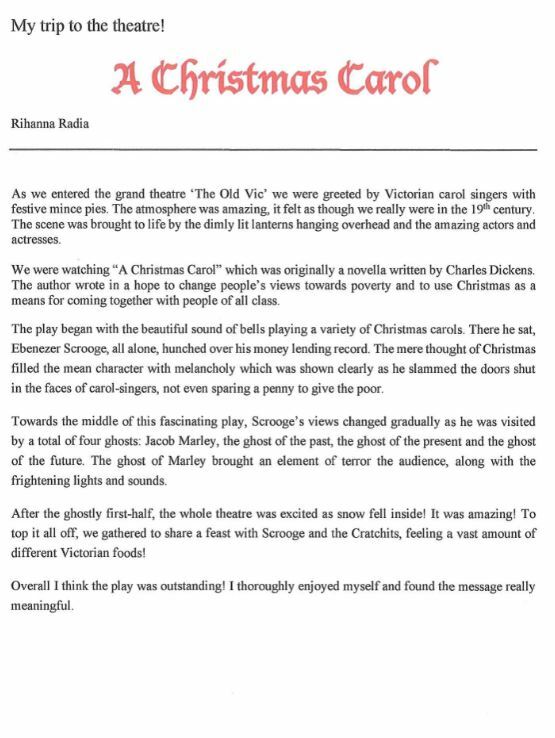 Rihanna Radia from Year 7, independently chose to read the book and write a theatre review for ‘A Christmas Carol’ after seeing the most recent performance. This was completely independent and demonstrates a real thirst for learning and a wonderful level of independence at such a young age. She has been nominated for the new ‘English Beyond English’ initiative that celebrates and rewards students who take their learning beyond the boundaries of the curriculum and develop an interest and curiosity in the subject.